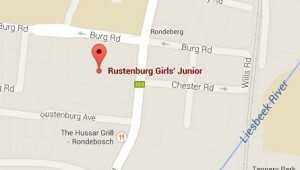 Rustenburg Girls’ Junior is a beautiful school in the heart of Rondebosch. Although we cherish the traditions of our long history, our girls are provided with an excellent 21st century academic, sporting and cultural programme. 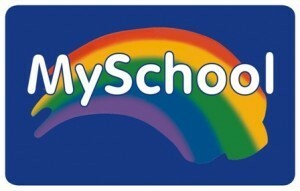 The school is a happy, vibrant and caring place and has a strong sense of purpose. Learning is important! The knowledge and skills learnt in the classroom are linked to the life lessons learnt during sport, music, cultural and community service activities. Teamwork, dedication, hard work, respect, consideration and compassion for those less fortunate are some of the values we hold dear. Our girls are encouraged to develop thinking, problem solving and research skills and to reach their unique potential. There is something for everyone at Rustenburg and the girls embrace the opportunities provided. They are enthusiastic, energetic, and excited by each new experience. The staff at Rustenburg are dedicated and committed to excellence. The teachers care deeply about education and the hopes and dreams of every girl entrusted to them. They are very conscious of the need to help the girls mature into well-balanced human beings and also the need to make learning a fun filled experience. Our teachers are enthusiastic about finding and developing best practice in education. The administration and service staff are continually growing their skills. The combined efforts of the whole staff ensure that Rustenburg enjoys success. It is such a privilege to be the head of Rustenburg and join the many special people who have contributed to creating a well renowned school of excellence, with durable traditions and a distinct spirit. My wish is that the girls of Rustenburg will use the values, skills and knowledge that they have acquired here to make a valuable contribution as successful women and proud citizens of our country. FIRST Sat of the month (except where this falls in the School Holidays) 09h00 – 11h00.